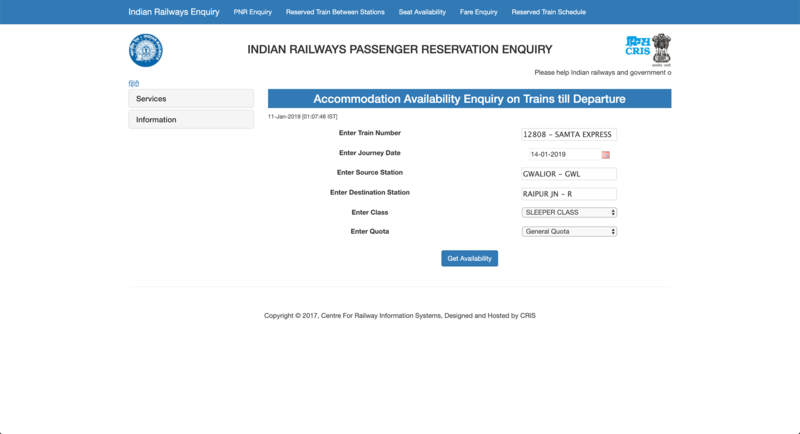 How to check the Train Seat Availability Status? Before you reserve a ticket and get your PNR number, you will have to check for the seat availability status of the train. It is necessary to check the Seat Availability Status of the train before making a reservation as you will get the complete inquiry on the train’s schedule and how many seats are left for the train on a particular date. 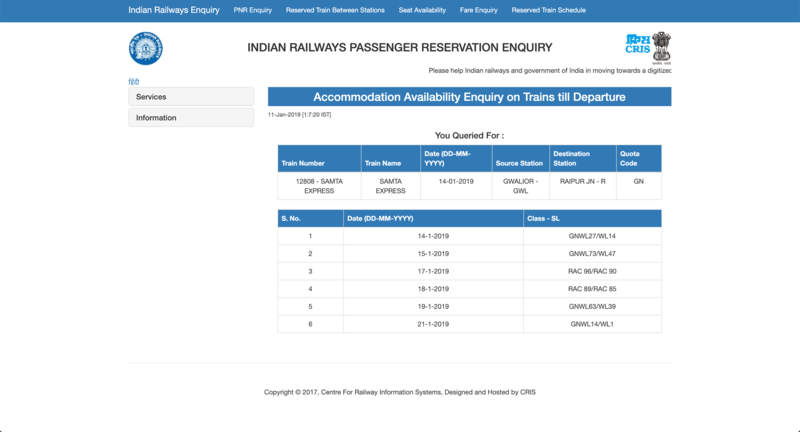 Open your web browser and head over to “http://www.indianrail.gov.in/enquiry/SEAT/SeatAvailability.html?locale=en“. Once the web page loads up, enter the train details such as Train Number, Journey Date, Source Station, Destination Station, Class, and Quota. After entering the details, click on Get Availability to check the Availability till the departure of the train. The Availability Status of the train till its departure will show up. By following these simple steps, you can easily check the current Seat Availability Status of the train and make your reservations and plan accordingly. By checking the availability status of the train seat, you will get to know about the schedule of the train for departure and destination station. Along with this, it will also tell you about the quota of the train and how many seats are left. The important thing here is the Seats Left as you can then plan accordingly and make your reservation as soon as possible. Therefore, you should always check the train availability status before making any reservations. ← How to Check Live Train Status?